MLB café TOKYO is the world’s first and only restaurant officially licensed by Major League Baseball (MLB). 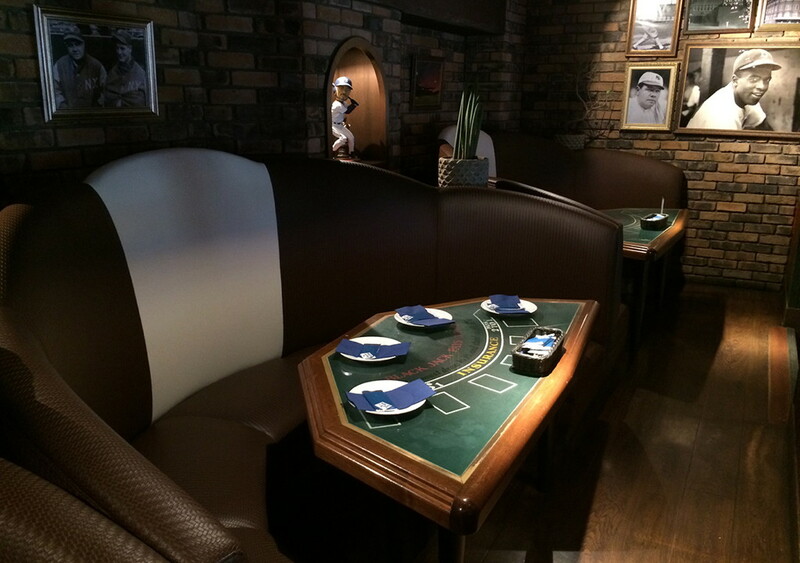 As you can guess, we are the baseball-themed entertainment restaurants. 3 concepts [Cultural Exchange], [Food Education] and [Education for children and youth] are our objective. Our first house opened in 2009 at Ebisu, and the other house opened in 2015 at Tokyo Dome City. We have 3 missions in our sports restaurant: Transmission of latest sport information, development of youth generation sports, and international exchange of sport cultures. On the screens in our restaurants, the live and recorded MLB baseball games are on every day. Also game-used bats, gloves, balls, and many other precious items are displayed. We dedicatedly cook our American-style foods for your health and beauty. We offer some special collaboration menu cooperating with American popular restaurants. In the MLB café Shop, we have various original MLB goods in limited numbers that you can’t purchase at other baseball shop. Do not forget to stop by the shop when you come to the restaurant. MLB café Girls’ show-time and beer serving performance are spectacular. The brightly smiling girls with full of energy in cheerleader-look and animation-like costumes enjoy communicating with customers. The entertaining style is from overseas, and you can join the high-quality performances on the stage together with the girls.